In a narrow green valley, a tributary of the River Calder once drove one of West Yorkshire’s many woollen mills producing fabrics renowned across the world. 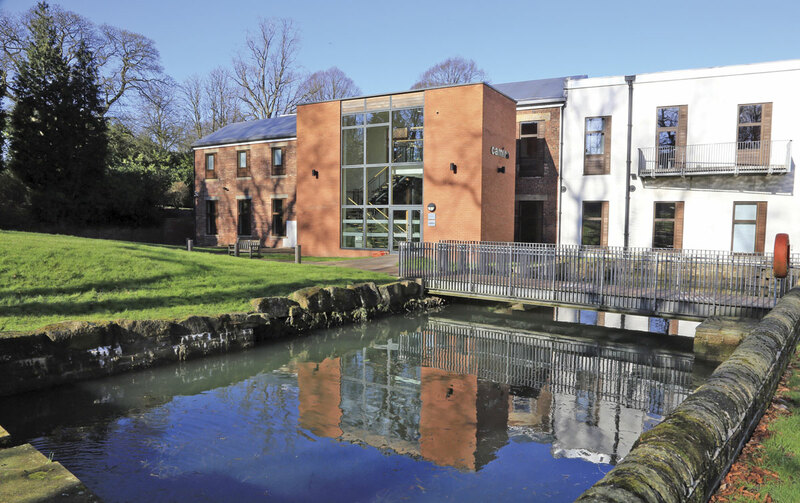 Today, part of the refurbished watermill building at Wheatley Park is the modern headquarters of Camira Fabrics, the Yorkshire based specialist in textiles for transportation and furnishing applications worldwide. Bus and Coach Buyer was recently invited to spend a day with the company, hearing about its history and wide range of products together with an opportunity to see at first hand some of its processes from design and development through production to the customer interface. Hosting the day were Ian Burn, Director of Marketing; Nigel Vickers, Area Business Manager for UK Bus and Coach and Jen Isles, Marketing Communications Manager. 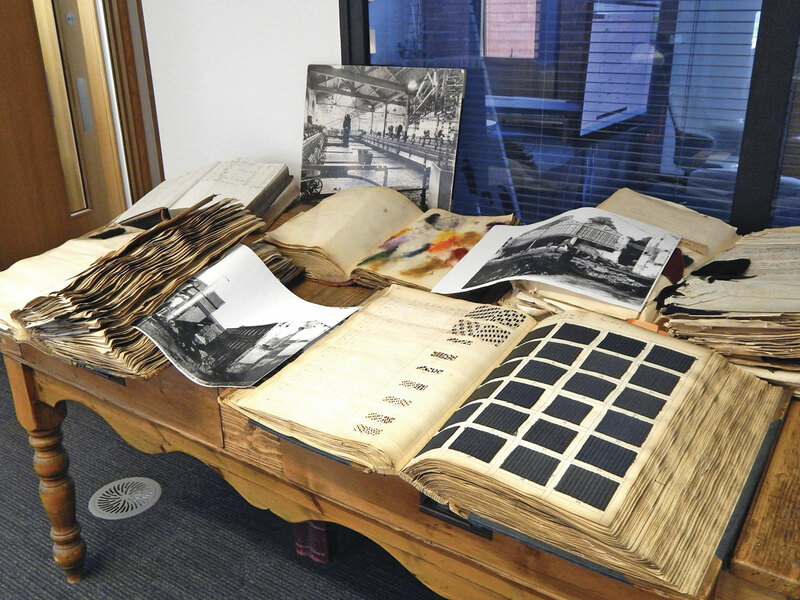 Camira may look back on a rich heritage but the company’s operation is thoroughly modern in facilities, systems and approach. This is immediately obvious on entering reception where visitors sign in on an iPad and receive a welcome email. 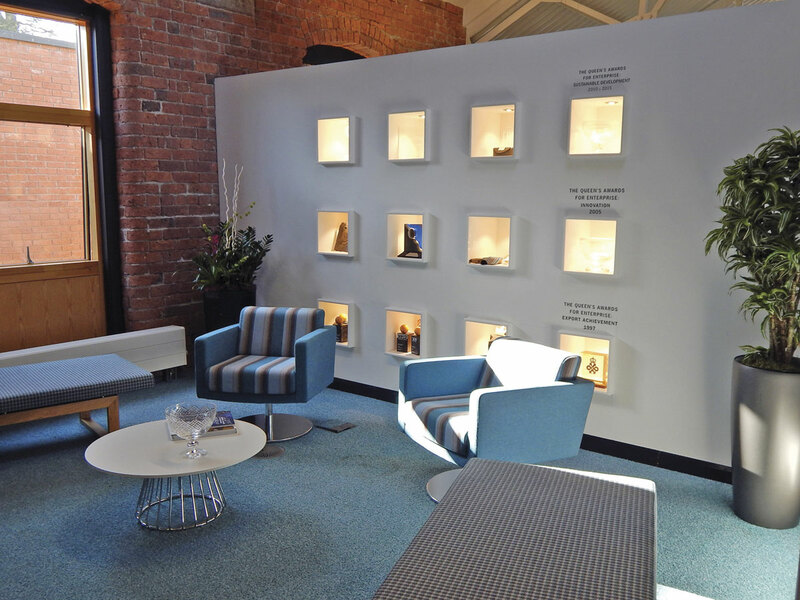 The reception area showcases many of the company’s recent awards and introduces the strapline that is core to the company’s ethos ‘Style with Substance’. Around the building this is reinforced with similar ‘x with y’ messages encompassing many of the activities taking place. Nigel confirmed the impact of flammability performance on the bus and coach market, ‘After the London bombings of 2005, there has been much more of an emphasis on safety and these are reflected in the increased technical requirements in the Capital versus the rest of the country. This higher level of safety can only be achieved by Camira’s wool-rich products as manmade products cannot achieve the necessary levels of performance. The next thing that is coming is an update to Regulation 118 in Europe (UNECE Regulation R118) which requires an extra level of fire and safety performance versus the existing guidelines. This is voluntary from July and mandatory from July 2017.’ All of the Camira products within the bus and coach portfolio will be compliant to the new regulations. 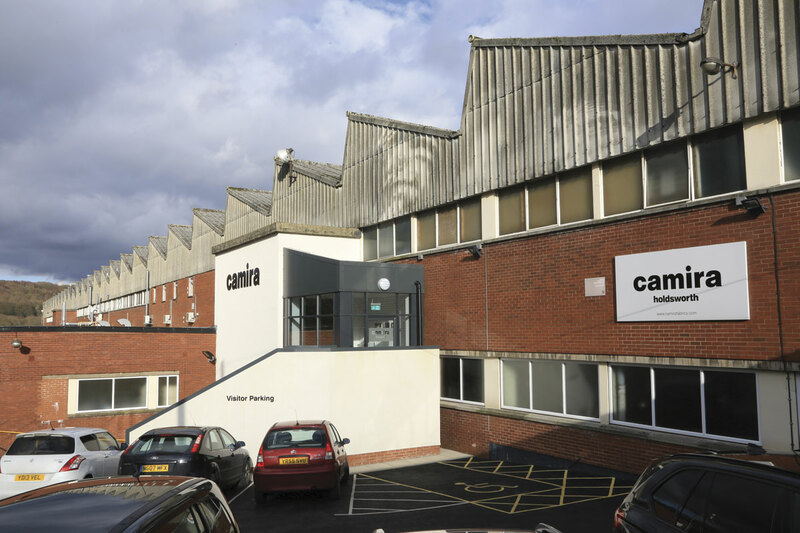 Ian describes Camira Fabrics as ‘a young company with a rich heritage.’ The company was founded as Camborne Fabrics in 1974, the name taken from the road in Huddersfield where its founder lived. It had a focus on fabrics for the office furniture and educational markets, complimentary products to the flooring of US based Interface who subsequently acquired it. According to Ian, ‘A good legacy of being part of Interface is a real focus on environmental issues. At that time, Interface was headed up by the late Ray Anderson whose brilliant environmental epiphany changed the culture of the business.’ Anderson went on to advise Bill Clinton and Al Gore on environmental issues. Interface Fabrics acquired British Furtex as the first step into transportation textiles, making a UK debut under the Furtex name at the Bus and Coach Show in 2003. Interface also brought investment to the business that would lead to the opening of the Lithuanian factory in September 2006. Camira Fabrics came into being in 2006 with a management buyout of the European Interface Fabrics operation. 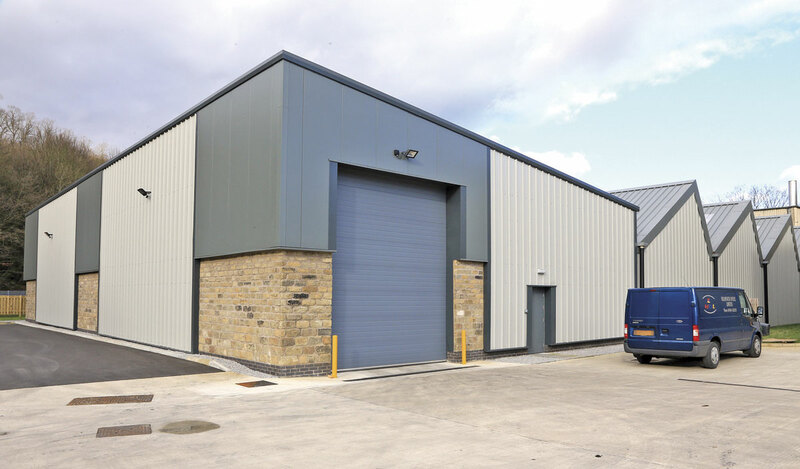 In 2007, the company took a major step forward into the transportation market with the acquisition of the assets and name of John Holdsworth & Co.
‘Our desire was always to be a big player in transportation textiles so when the opportunity came along to get hold of Holdsworth, it made absolute sense.’ In Ian’s view, ‘It catapulted this business into mainstream transport textiles with the biggest name in the business.’ Strong business in the USA and Australia was also a legacy of the Holdsworth takeover, Ian remarking that he discovered the term ‘Holdsworthy Fabric’ being used as a generic name for moquette down under. The Holdsworth operation could trace its history back to 1822, becoming an early entrant into fabrics for rail applications and moving later into all areas of public transport. It had built up a worldwide reputation for its moquettes but had not kept pace with changes in the market and struggled financially. The moquette looms with their not insignificant demand for mill space were transferred to Meltham and then to the new factory in Lithuania. 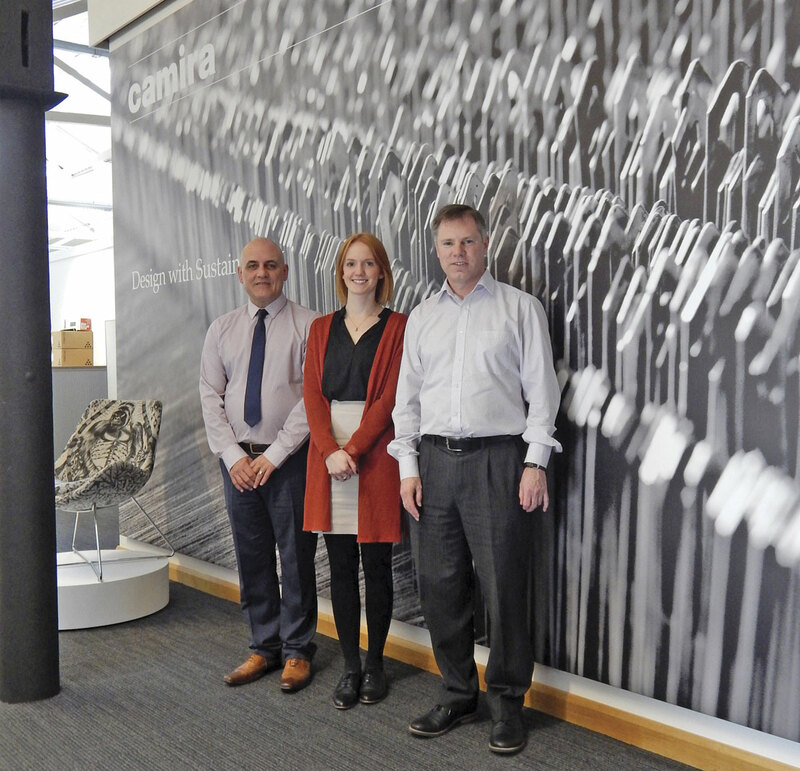 Camira Fabrics today is primarily owned by its shareholding Board of Directors and has been supported for the past year by Pricoa as financial partners, replacing Caird Capital who were involved in the management buyout. A new Chief Executive, Grant Russell was appointed in September 2015. The company employs around 700 staff across the world with the majority concentrated at its locations in Yorkshire. The Watermill houses all the headquarters functions together with design and development activities and customer services. Dedicated teams support UK and overseas sales with a wide range of language skills. UK production facilities include the main flat woven fabric and finishing mill at Meltham Mills, west of Huddersfield, a yarn spinning mill in Huddersfield, the dye house of Park Valley Dyers, a joint venture with Holmfirth Dyers in the Holme valley and Technical Knitting, a technical knitting plant in Nottingham. 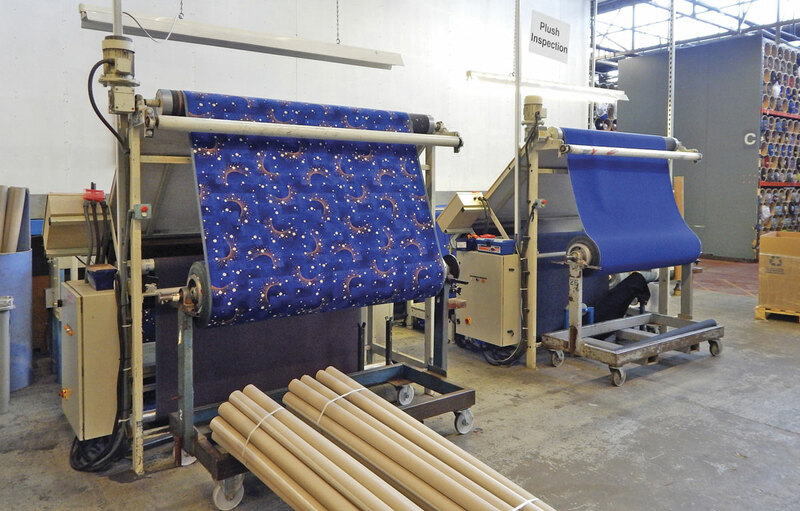 The moquette weaving mill is located at Ariogala in Lithuania where there is also a cutting and sewing facility to support orders of the scale associated with railway rolling stock production. Between 7m and 8m metres of fabric are woven by Camira each year of which up to a million metres are transportation textiles. The majority of the latter are wool rich and moquette sales outstrip flat weave, leather or PVC although the latter three have been growing in popularity. The company has a focus on developing skills and sustainability across the industry both in the UK and Lithuania. The Modern Apprenticeship programme throughout the UK business has drawn the attention of Prime Minister David Cameron and the company has twice been a recipient of the Queen’s Award for Sustainable Development. Production and processes are accredited to ISO 9001, ISO 14001 and OHSAS 18001 standards. The overall findings of the report showed a preference for moquette although when broken down by age ranges, the younger generation had a marginal preference for leather and flat-woven did well in the middle age bracket. Of the two attributes deemed most important by passengers, moquette achieved the highest rating in the comfort category with leather ahead in the cleanliness factor. Ian pointed out, however, that passengers were not generally aware of the treatments that moquette could be subjected to in order to ease the maintenance of cleanliness. ‘We were heartened to see that moquette is still popular,’ commented Ian, ‘We were quite open to whatever the survey told us as it can help guide our future product development. 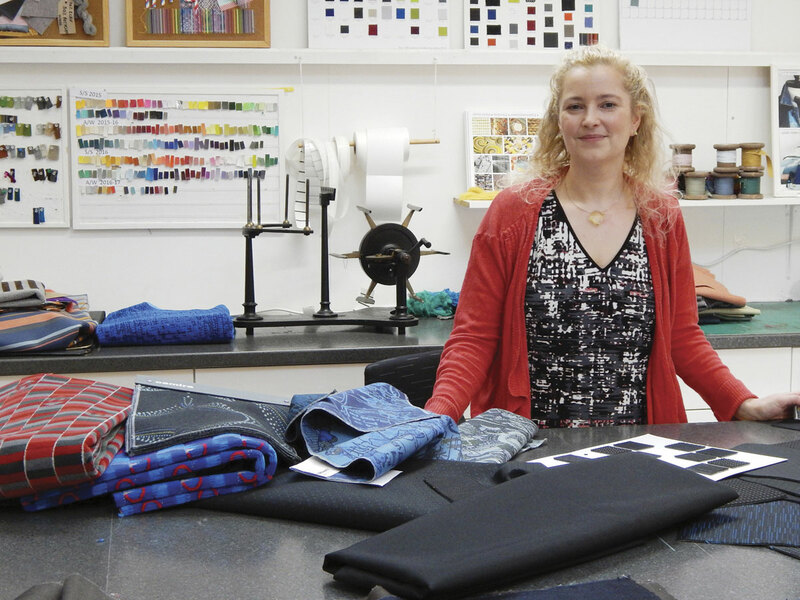 Equally, we as a business can fulfil all of these material types now.’ Camira have partnerships in place to supply the leather and PVC products. 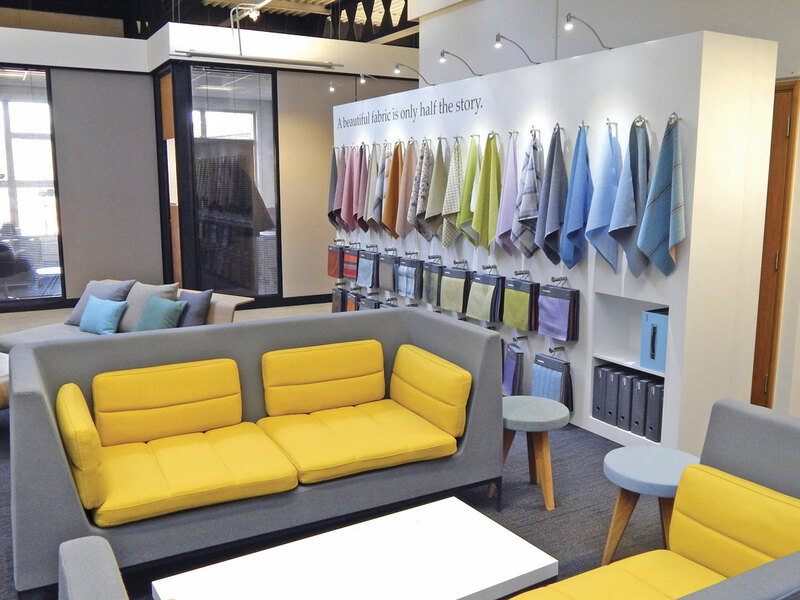 As part of their company ethos, Camira emphasise the importance of relationships with customers and the building of an open environment where they can come in and discuss their requirements with the designers and gain an understanding of exactly what is possible. Most things are, according to Ian, ‘working with design houses or individuals who have a design idea, we can determine what is actually achievable in textiles, a lot is but there are certain constraints based on the type of loom employed. For example plush moquette is woven face to face so a mirror image is produced. We recommend that an all over design is chosen in this material to avoid seat coverings being “handed” or material wasted.’ The latest TfL moquette for the Arriva Enviro 400H City shown at Euro Bus Expo 2015 is an example of an all over design developed in house by Camira. Janina Crook, Design & Development Manager for Transport, showed some of the options available with various types of material including the latest flat woven range, Vision. This was first unveiled at Busworld 2015 and, following research with customers, uses the predominantly black or grey backgrounds associated with the automotive industry. They are woven with coloured or metallic highlights, in gold, silver, copper, blue or red at present although the range of colours and patterns is set to expand. 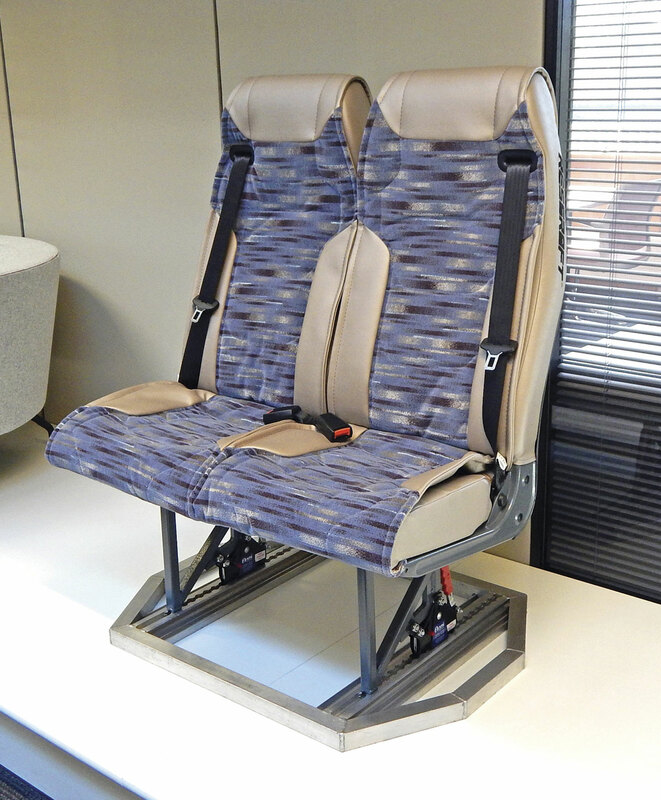 For bus and coach applications, the material’s lighter weight is a benefit whilst the foam backing as standard gives the depth and trimability of moquette. For customers wishing their own designs, Janina and her team can quickly guide them to a suitable option using the wide range of supporting materials available in the well lit area of the headquarters site occupied by the design team. 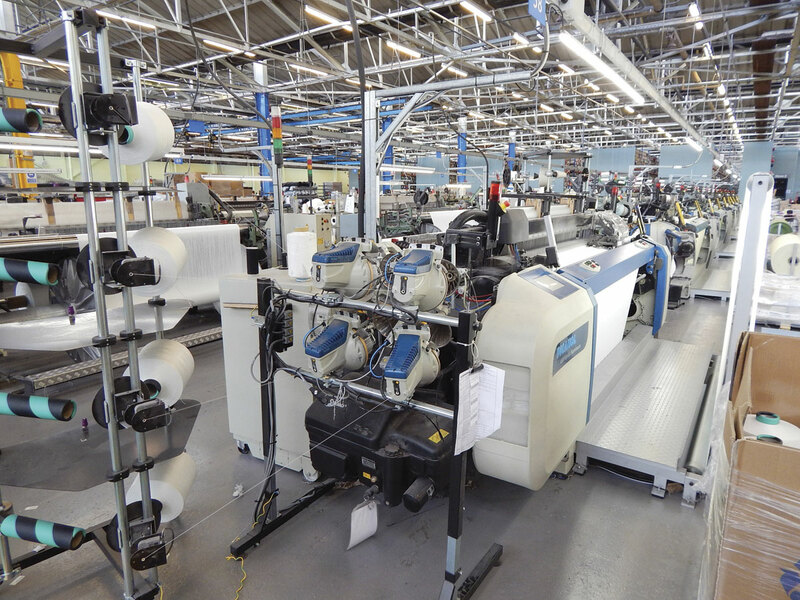 For these tailored applications, Camira have a minimum order quantity of 400m fabric, sufficient for around eight vehicles. They also offer a stocking agreement whereby material once produced can be held in stock and dispatched within a 24hour lead time. The lead time to production of a commissioned design is around four weeks. The company has a strong sustainability policy, aiming to leave behind both nothing, in terms of waste and everything, in terms of influence. The two subsequent Queen’s Awards testify to the company’s long term commitment to this policy. Through the commitment of the workforce, waste to landfill has dropped to almost nothing and energy consumption has been significantly reduced. Other materials used responsibly outside the transportation sphere include hemp (grown under licence from the Home Office), flax, nettle fibre, recycled jute (old coffee sacks), New Zealand wool and recycled polyester including PET bottles. Waste material from the weaving process is also upcycled to create new yarns. Understood to be the first new dye works opened in the UK for over 25 years, the £2m site was opened in 2012. It has strong environmental credentials through both pollution prevention measures and the recycling of water and heat. Water obtained from the site’s own borehole is used to produce the liquor needed for the dying process. The volume of dye materials is carefully calculated to ensure a high level of dye exhaustion during the process and minimise the reprocessing of spent liquor. In addition to the dye vats and drying ovens, the site includes a laboratory for accurate mixing of dye materials to prescribed colours and a small scale plant where test work on new colours and materials can be undertaken. 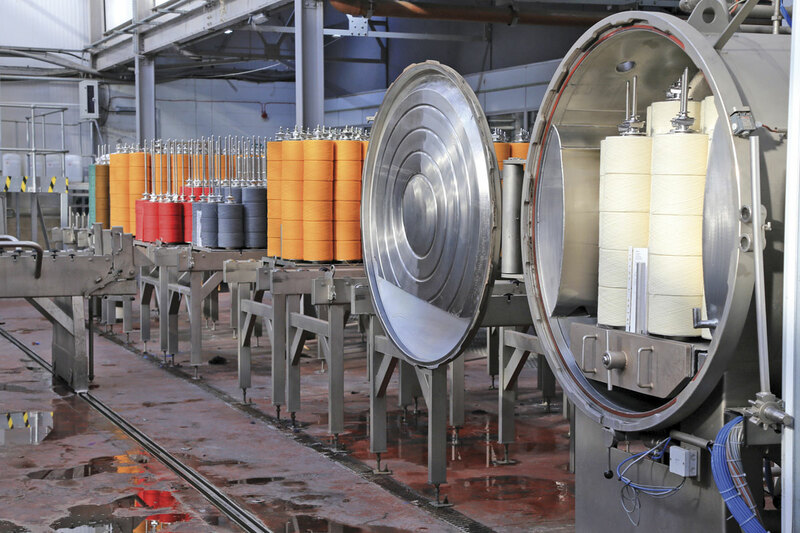 Completed dyed yarns are labelled as part of the company’s quality control process to ensure full traceability from yarn to completed product. The site is also virtually packaging neutral, the pallets used for delivering the yarn are reused for its transfer forward to Meltham and through the international trunking operation to Lithuania for weaving into moquette. The large mill building at Meltham was once home to the production of David Brown tractors. Camira moved to the site in 2000 and now occupy all the upper floor and part of the lower floor. The Camira ethos of communication and focus on quality, safety and the environment is clearly displayed throughout the building. 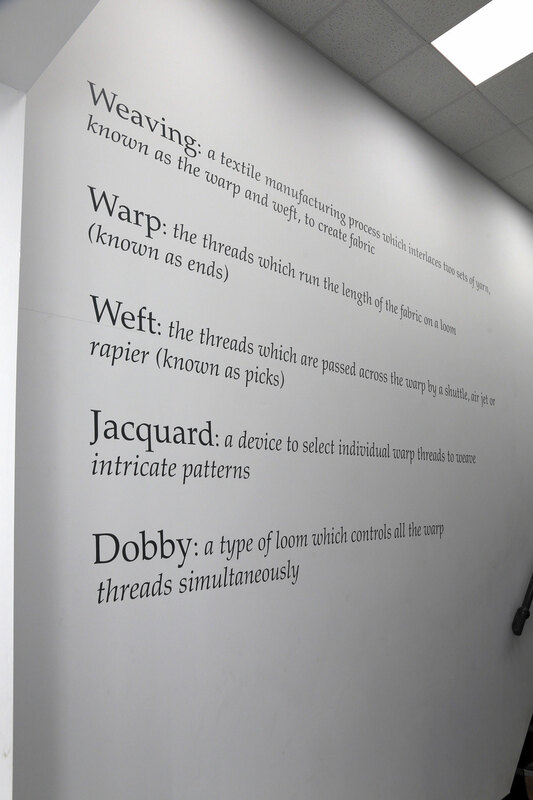 In the entrance lobby, the walls are decorated with descriptions of the various components of the weaving process, allowing visitors to distinguish their warps from their wefts! The vast upper floor houses around 70 looms producing flat weave fabric mainly for the contract market. From the yarn store at one end of the building to the completed product warehouse at the other, yarns are fully traceable as part of the quality assurance process. The weaving process starts with yarn being wound onto beams to create the warp. These are then transferred to the looms where the weft is added by traditional mechanical shuttle or the latest air jet technology. The production rate of the latter is impressive reaching 1500 ‘picks’ (threads) per minute. 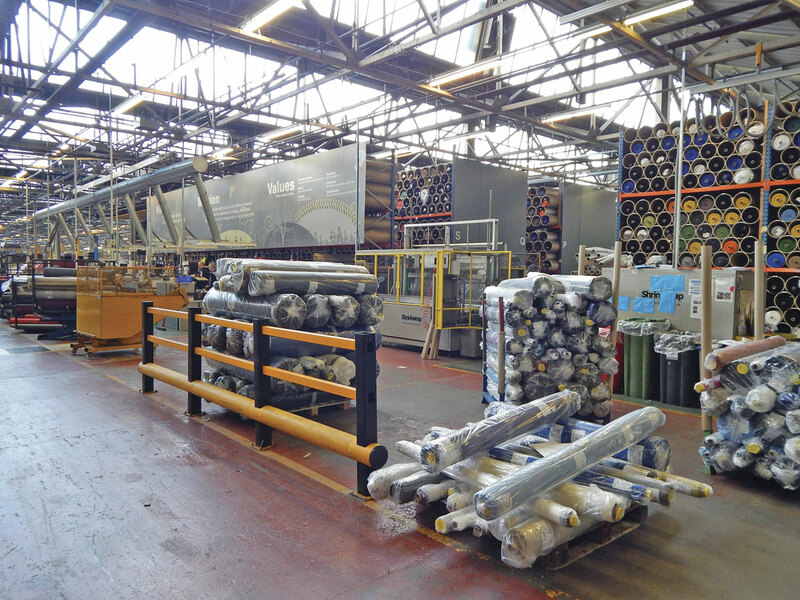 Much of the 150,000m of mainly contract fabric produced weekly at Meltham is from undyed yarn, the completed fabric then being stored in ‘loom state’ until required for piece dying to customer requirements. 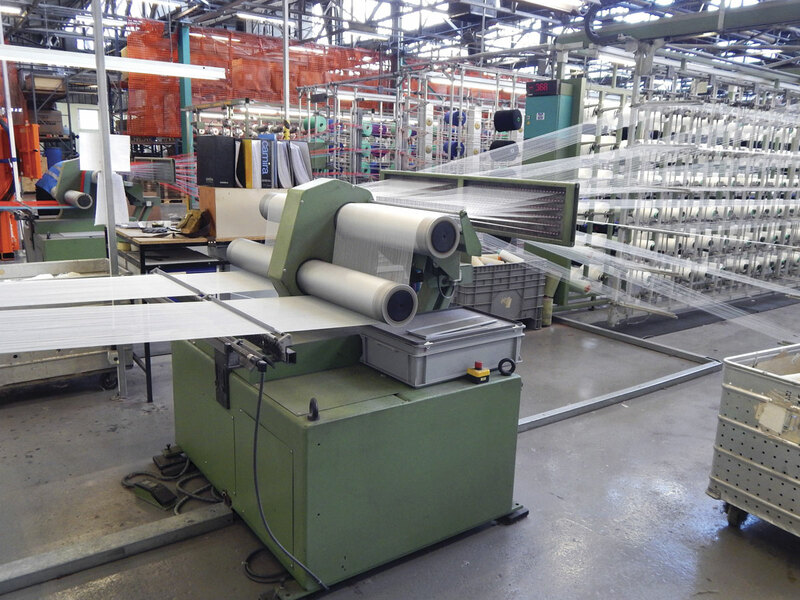 Full traceability of materials follows the yarns through the production process. The product warehouse houses all stock materials including the moquettes from Lithuania which will have been fully finished (including steamed, brushed and cropped) and quality controlled in an adjacent part of the building. Underneath the warehouse end of the first floor is the special treatments area where a variety of complex finishing, fireproofing and backing processes are undertaken. 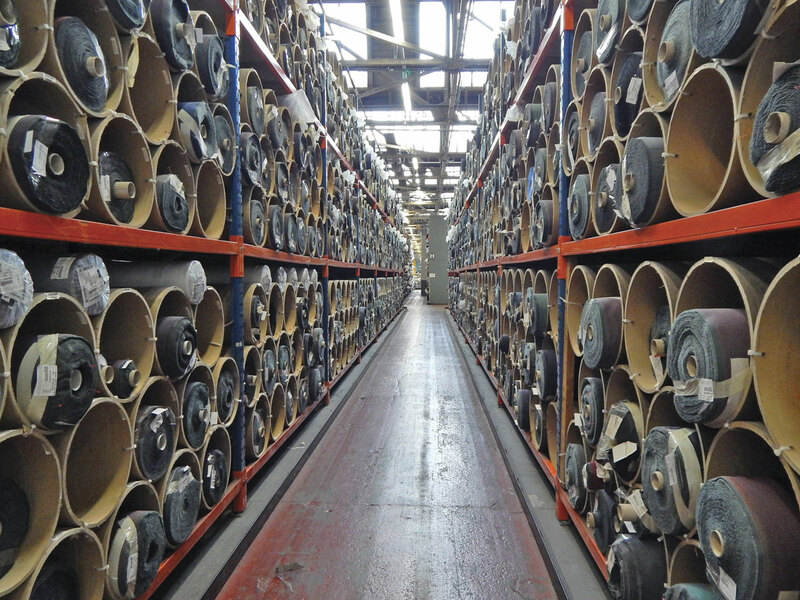 Meltham is also the site of the company’s main test house where fabrics are tested in accordance with a range of UK and international standards including those for wearability and flammability. Fabrics are only submitted for formal certification by independent test houses after they have been proved to exceed requirements by exhaustive in house testing. An outsourced logistics operation supports the distribution of customer orders and the transfer of material between manufacturing locations. In addition to the use of national and international parcel couriers, a van delivery network operates from three hubs including Meltham, the other two being linked by an overnight trunking service. The company targets the same day dispatch of all customer orders for materials and samples received by 3.00pm. For the transportation sector, Camira offer 14 ranges suitable for seating, curtains or interior trim, all but one being available from stock and all can be custom made to order subject to minimum quantities. All come with a five year wearability warranty. All ranges are available in a wide variety of colours and designs. Specific flame retardant, stain repellent and anti-microbial treatments are available.